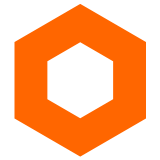 Cubecolour is a web design and development agency run by Michael Atkins in Sutton, South London. I have been creating websites since the mid 1990s whilst working for a software company where I looked after the network and provided IT support to staff and customers. in-house design projectsincluding creating and managing the company’s website and intranet. I became a full-time web developer in 2008 and specialise in creating websites using the WordPress content management system with the Genesis theme framework with custom child themes. I develop a lot of WordPress plugins for the projects I work on and have offered several as free downloads on WordPress.org and as products which can be purchased with support from this website. 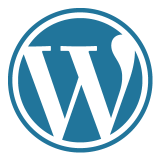 WordPress is an open source web publishing platform powered by PHP and MySQL. It has been around for ten years and has matured into a reliable, secure and easy to use content management system which now powers over 25% of the web. Specialising in WordPress, cubecolour can build you a great website taking care of the entire process from start to finish.